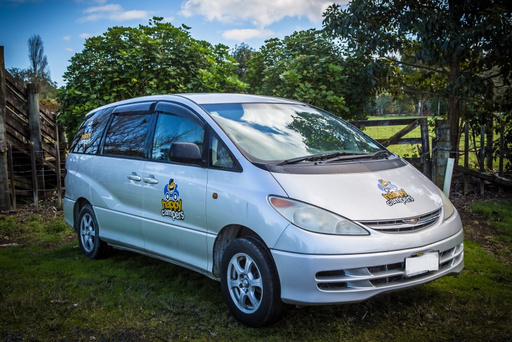 The stylish and hassle free way to get around New Zealand. 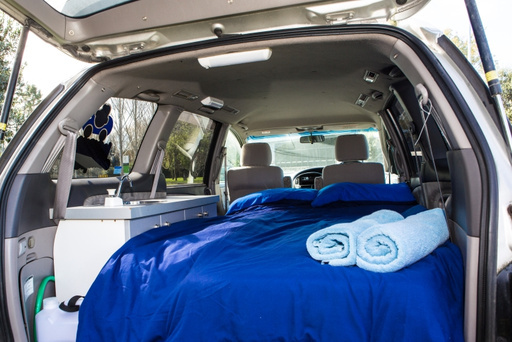 Easily cruise around in this car sized campervan by day and sleep in the cosy back by night. 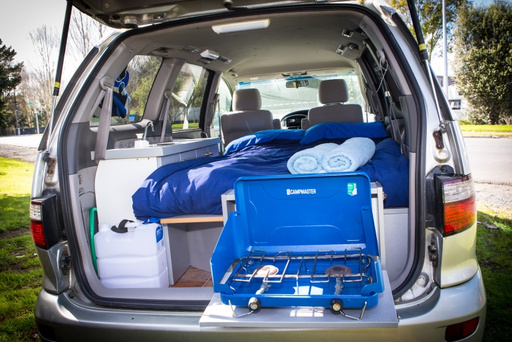 There is a portable gas grill for camp style cooking. 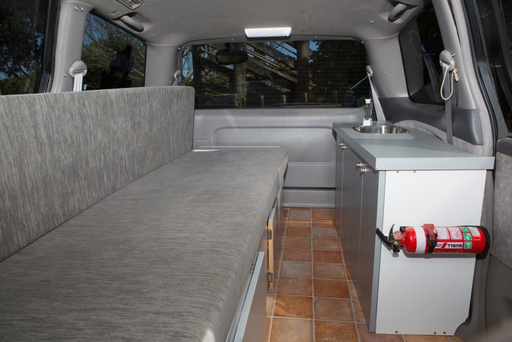 Linen, cookware and even a kitchen sink is included. 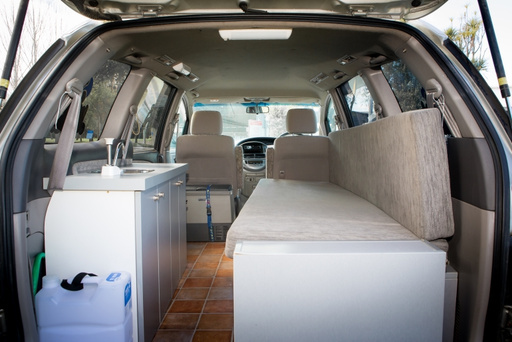 Rates include: unlimited kilometres, complimentary airport transfers, and more. Please see price details for a list of inclusions. Live it up in the dinky and easy Happy Sleeper. 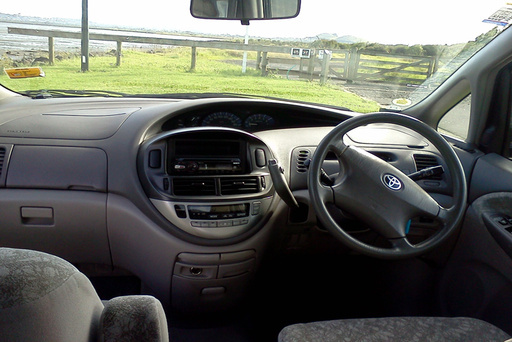 Booster seat can be fitted to front passenger seat.